I am a hard working representative who prides myself on being available and accessible to my constituents, spending more time than most canvassing door to door. First elected to Dáil Éireann to represent the people of Dublin North East in 2007. In 2011, I was re-elected for my second term on the first count. My current political priorities are overcrowding in hospitals, homelessness, the housing crisis and crime concerns. "RENUA Ireland supports the adoption of a 23% flat tax rate. We also believe that the state should be required to maintain a balanced budget during periods of economic expansion, to help ensure that vital public services can be better safeguarded during periods of economic difficulty." "Our flat tax rate of 23% will mean that all workers keep 77% of their income. This policy will ensure that work always pays. To fully protect lower income workers, a basic income payment of E3,050 per person will be made to those earning less than E70,000 per annum." "RENUA Ireland believes that water charges are necessary in order to resolve the consequences of continuous underinvestment and inefficiency in Ireland's water infrastructure. However, we will insist that Irish Water be radically reconstituted so that it is fit-for-purpose." "RENUA Ireland believes in the necessity for water conservation and for improvements in Ireland's water infrastructure, and this means that consumers must pay some charge. Therefore, we do not support the irresponsible policy of boycotting water charges." "RENUA Ireland respects the right of all its members and candidates to hold and express their own opinions on contentious moral issues, in accordance with our policy of respecting freedom of conscience." "RENUA Ireland respects the right of all its members and candidates to express their opinions on moral and social issues. Individuals will be free to advocate whatever position they wish to in any potential referendum on the 8th Amendment." "RENUA Ireland does not advocate any large-scale increases in the minimum wage which would make it harder for job-seekers to find work while also undercutting Ireland's international competitiveness. However, our flat tax policy will result in real increases in incomes for all workers." "In an era of rapid economic change, there are some sectors where the number of hours which employees work constantly changes. RENUA Ireland does not support the practice of offering zero-hour contracts, and will seek to find better ways to provide greater employment opportunities in those areas." "Rent controls are likely to weaken the incentives for developers to build homes at a time when they're desperately needed. To alleviate the housing shortage, we will introduce incentives for landlords to provide more housing, particularly for those on housing benefit." "Property taxes are necessary, but the existing tax should be replaced with a Zoned Land Tax which would be calculated by how much it costs to operate each local authority and a Site Value Tax which would be used to fund the development of social infrastructure across the state." "RENUA Ireland maintains that it is our foremost task to build an inclusive society. It is vital for all levels of government to foster inclusivity and partnership between the Travelling and settler communities, particularly on the construction of much-needed housing for Traveller families." "It is our policy that more GP services should be provided to patients in GP practices and primary care centres. This, along with the implementation of Electronic Health Records, will lead to major improvements in our GP system without the negative side-effects of the failed UHI model." "The cost of childcare is one of our party's major concerns. Our policy calls for a E500 million childcare tax credit which would be allocated on an 80% service user, 20% service provider basis. This policy will help hard-pressed parents to work outside the home if they choose to." "Parents have a right to have their children educated in a school of their choice, with a religious ethos or without one. In government, RENUA Ireland will re-ignite the abandoned school divestment process so that our education system is representative of the Ireland of today." "The shortage of school places in certain areas of the country has placed serious pressure on schools and parents alike, and RENUA Ireland is committed to an in-depth analysis of the census and of demographic projections across the country to ensure that this problem is solved speedily." "Part of playing a positive role in the migration crisis is accepting a fair share of those refugees entering Europe, and we are committed to an immigration approach that welcomes people in desperate need while ensuring that our country maintains its security by carefully monitoring this process." "Many Irish citizens have been left disillusioned by various approaches taken by the EU and our national Government in recent years. We believe that Ireland must now establish a coherent national policy towards the EU and towards other international organisations to guide us into the future." 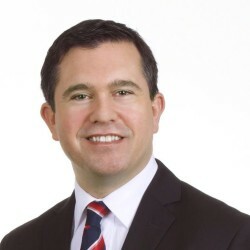 "RENUA Ireland is opposed to the development of new wind farms, until such a time as technologies have improved to the point where wind energy becomes more economically viable and less environmentally damaging." 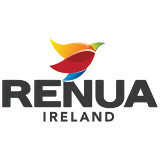 "RENUA Ireland strongly supports international action to reduce greenhouse gas emissions significantly. We believe this can be done without damaging our agricultural industry by developing alternative energy sources like tidal energy while increasing our afforestation rate to 20%." "The party whip system is an important part of ensuring that our country has a stable and effective government. However, Ireland's uniquely rigid whip system leads to a stifling of debate and a silencing of dissenting voices. RENUA Ireland commits to changing this." "The lenient sentencing of criminals has left law-abiding citizens highly vulnerable to crime. Our plan to introduce a three strike rule with a mandatory life sentence following conviction for a third serious crime will ensure that citizens are protected, and that criminals are properly punished."